When used correctly with the appropriate safety measures in place, inflatables make a great outdoor activity for parties and summer events. Inflatable installers and operators need to take some necessary precautions to make sure everyone has a fun, injury-free time. Never set up an inflatable on a slope. Look for a flat area at least five feet larger than the inflatable. A tarp should be put on the ground to protect the inflatable before installation. Inflatables should always be staked in the ground or have weighted bags securing them into place, and when inflated there should be no sagging material anywhere. Whether your services include an attendant or if the guests will be in charge, inflatable users should always be instructed on safety guidelines for using the product. A good rule of thumb is to visibly post the operating and safety instructions, while also giving the operator a verbal understanding of this. An occupied inflatable should be attended by an adult at all times. Children under age three should never be allowed in a full-size inflatable. Children entering the inflatable should be grouped according to size to reduce the risk of injury to their peers. Never exceed the maximum ride capacity. The inflatable should be turned off immediately in the case of inclement weather or high winds. It is imperative that you keep your products in tip-top condition. Make sure there are no tears, holes or other damage done on the product before each use. Always properly clean and sanitize inflatables. This will not only keep your customers germ-free, but also present a positive image of your services. For more information on inflatables safety tips click below for the Safe Inflatable Operators Training Organization. The most common inflatable accidents to watch for are multiple people collisions, particularly when there is a large size difference between the children, falling out of a jumping balloon or off of an inflatable slide, catching a body part in the inflatable while others are jumping, wind gusts blowing over an unsecured inflatable, and rapid deflation causing children to fall to the ground. When used properly, inflatable injuries are few and far between. According to the CSPC (The Consumer Product Safety Commission) there were only 489 injuries in 2004 for ALL amusement park rides. To query additional data and for more information visit the National Electronic Injury Surveillance System (NEISS) below. The majority of injuries and accidents occurring as a result of inflatables can easily be avoided by following these simple safety procedures. Most of the injuries occur as a result of inadequate supervision and equipment failure due to improper set-up. Both of which are easily avoidable. When caution is taken, inflatables are no more risky or accident-prone than the neighborhood pool. Make sure your company has a reputation for acting in a safe and responsible way. You need to be sure that you’re buying quality when you start looking through all the moonwalks for sale that are on the market, and you need to factor in the fun that your clients will have as well. That means that you’ll need to get together with a moonwalk manufacturer that has a good imagination. Take a look at what they offer and put yourself in the shoes of those clients that matter the most, children. 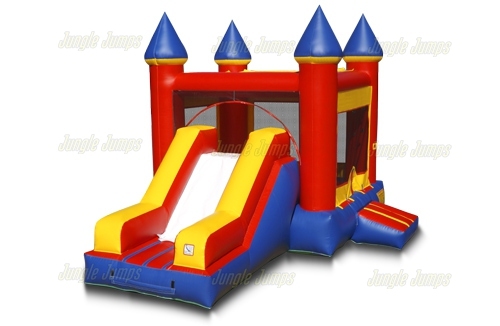 Beyond a great assortment of bounce houses, you need to look for the items that add variety for the little ones and that should include something like a Sports Arena With Slide. Remember that it’s important to have a handle on the inflatables that are both wet and dry to suit a variety of needs. You need to be sure that you’re getting the best and that why you need to look over what these moonwalk manufacturers offer. Remember that when they understand the business thoroughly, they will be able to put together a quality newsletter that compliments their inventory that deals with the moonwalks for sale they offer. 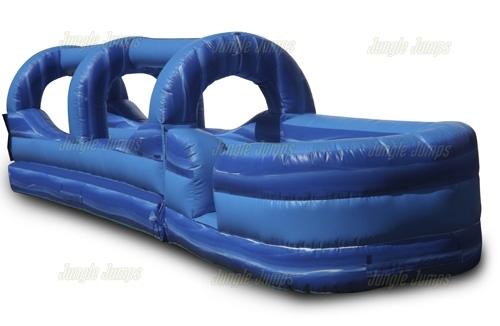 Of course when you’re looking for the best inflatable slides for sale you want to be sure that you’re sorting through what each inflatable slide manufacturer has to offer with a critical eye. Sure you want to be able to get the best for your money but one of the other selling feature needs to be old fashioned fun. 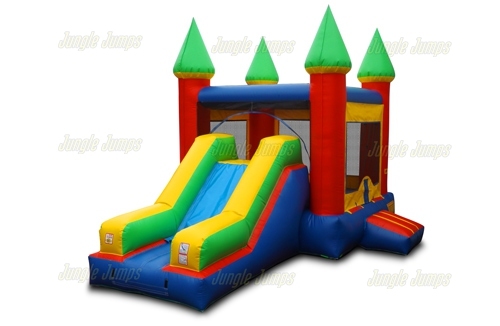 It’s important to get the product that will brighten up the party and make it a success because these inflatable slides for sale are often the centerpieces have children’s get-togethers. Think like an adult and businessman when you’re buying one, but think like a kid too and look for one that would be the most fun if you were riding down. Take the 14 Foot Dry Slide for example. Here’s one that’s just big enough to give the little ones a great rush when they head down and a safe retaining wall at the bottom so that parents don’t have to worry. Remember that inflatable slides for sale should be fun, well-built and cost effective all at the same time. We all know that your site’s listing with the top search engines is invaluable. Much of your search engine standings are also based on the web content on each page within your site. One of the key factors to optimizing your web site for the search engines is to focus on a few keywords per page, making these appear frequently throughout your web site, while still keeping the copy readable and fluid. The keywords that you choose should be terms that you would like searchers to find your site through when they are using a search engine. Each page within your site should have approximately one to three keywords associated with it. Include these keywords as much as possible within the text of the page. Of course, this is also walking a fine line of making your site search engine friendly while still having the writing make sense to a reader. Keep in mind that search spiders and robots are not intuitive, they cannot process the information from your site’s content so the keywords you have selected need to be written exactly within the content of your page. Choosing keywords such as “inflatables”, while accurate to your business and your customers, may not help you to achieve a higher search engine standing. The term “inflatables” is very competitive on the internet, with Google returning nearly 4 million results. Particularly if your business focuses on a specific geographic location, it may be best to include this in your keywords. For example “New York Inflatables” or “Rent Inflatables New York”. These are still keywords that your target audience would potentially use and the search will return fewer results. Another key factor for your web site’s standing with the search engines is the linked text on your web page. You need to put careful thought into the text you are linking to and what will best identify these links, while also incorporating your keywords if possible. The optimal case is creating links with anchor points (the text within the link) containing your keywords. Search engine optimization is by no means an exact science. With the search engines continuously modifying and tweaking their algorithms it is difficult for a company to keep up. One of the other key factors for search engines is the longevity of your site. Sites that have been online for many years have a better standing with the search engines. Clearly, this is not something that you can fabricate, but only gain through time. Because of this it is important that once established you do not change your url, because doing so will put you back to square one with the search engines. The following are some online tools that will show you the density of your web site based on keywords and links in your web content. When you are looking for an excellent moonwalk for sale it’s important to keep the people you are buying for in mind. Now while the parents might pay for these items the real moonwalk sales are all about children’s approval. If you really want to score big with little kids you need to remember what it was like to have their imaginations. When you start thinking that way you’ll be looking at a certain kind of moonwalk for sale like the Sea Bounce. This is the unit is very easy to set up and you can imagine the children pretending they are in the deep sea while playing inside. These are the kind of units that are a big hit at children’s parties and this one comes with one of the best warranties in the business. It’s important remember when you’re looking for an excellent moonwalk for sale that you think like both a businessman and a child at the same time so that you can find the best items.